Another day is another world. The difference between foreign countries is never so great as the difference between night and day. 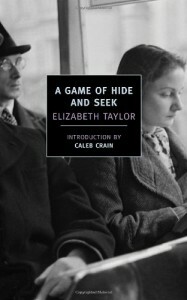 A Game of Hide and Seek is a 1951 novel by Elizabeth Taylor. My copy was reprinted by NYRB Classics in 2012. I've not read anything by Elizabeth Taylor previously. This was not an easy book to read. It begins with a brief summer romance between the two main characters, Harriet and Vesey, as teenagers. 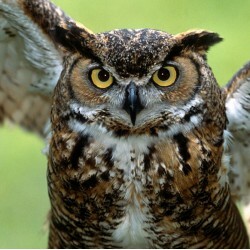 They have been thrown together through family relationships and known one another since childhood. This summer, their relationship changes into something looking like a romance, and they spend the summer in a state of nervous, static attraction. The book is set during the interwar period of 1920 - 1939. After their summer romance, Vesey and Harriet are separated - Vesey goes to Oxford and Harriet remains in the same place. A year is too long to wait for someone beloved. In the morning, she would set about living that year, comforting herself across the great waste of days. This afternoon she could not begin. At the end of her weeping, when words began to come again into her head, ‘It is too long,’ she cried. She rested her throbbing face in the cool, harsh bracken. She felt that she had cried all the tears of the rest of her life. In spite of this passage, there is nothing really convincing about the relationship between Vesey and Harriet, however. Their feelings for one another seem shallow, inconsequential things. Vesey completely disappears from the narrative, and we see only Harriet's perspective. There is a long period of separation that is bridged with little comment from the author, and we move forward twenty years or so. Harriet marries Charles, an older man, a solicitor, who provides her with material comforts. She has a child. Jessica Terrace looked like a row of paper houses. No lights shone from any of the windows or the fan-shaped glass above the doors. The evergreens were glossy in the rain, unseparated from the pavement, for the iron-railings had been taken in the war. The façade seemed to have so little depth that even Harriet, who had lived here for sixteen years, could scarcely believe that, behind it, passages ran away towards kitchens; that in remote parts the front-door bell could not be heard, and that, in back rooms overlooking the narrow gardens and level with the top branches of a mulberry-tree, her daughter and the young maid were asleep. She loved the lulled sensation of being driven at night and was reluctant to leave even this musty car. ‘Wake up!’ Charles said crossly. They had stopped by the familiar street-lamp. She said goodnight to the driver and hurried towards the steps, her head bowed in the rain. When Vesey finally returns, having left Oxford, failed as an actor, the tenuous affair from the first part of the book sputters into a tiny flame. This part of the book reminded me of Madame Bovary, although Harriet is not so impulsive as Emma Bovary. But she and Vesey engage in some mild slinking around, although the author never really makes it clear whether or not they actually have an affair, or if they just consider having an affair. If Vesey had been ambivalent before, he wasn't less ambivalent now. As soon as the leaves fell now, she felt the possibility of shoots coming up through the hard ground; autumn was implicit in summer; no season held. There were no more long summers. The last was when she had played hide-and-seek with Vesey and the children. Since then the years had slipped by, each growing shorter than the one before. It had not seemed a long time, her married life. Summer and winter had run into one another. Harriet was an extremely frustrating character, reserved to the point of paralysis. Her early love affair with Vesey was so much not the thing that dreams are made of that her adherence to it baffled me. The writing was very beautiful, at times, but I still wanted someone, anyone, to do something, anything. It reminded me of Henry James - exquisite but cold. Charles was the only character who felt like he had any blood in his veins at all. This is one of those books that is hard to rate. It's good, but I didn't enjoy it. I'll keep giving Taylor a try, because I've heard positive things about some of her other books. I have Mrs. Palfrey at the Claremont, which sounds like a much more enjoyable book.